Many experts are of the view that treatments like hot stone massage are the future of medicine. Healing with different colors of lights, stones, old coins and other such stuff are becoming more and more popular with every passing day. These treatments often seem to prove quite effective and that’s the biggest factor behind their growing popularity. People who didn’t have experienced the unique indulgence of stone massage, they must give it a try, and one thing is certain that the wave of comfort and relaxation will touch not only every inch of your body, but also your soul. Hot stone massage seems to connect our body with the nature and its hidden powers in a unique and satisfying way. You will definitely feel a strange sort of profoundness and sanctity in almost every limb and joint of your body. This is the treatment which can enhance your awareness and can bring you to the true essence of the nature and the surrounding powers which play a pivotal role in our physical and mental well being. This kind of treatment is not only enjoyable for the client, but it also gives lots of pleasure to those who practice it. Usually hot basalt stones are used in this kind of treatment that produce a really soul touching relaxing effect with the coolness of marble stones. Results of different studies show that temperature extremes often prove quite beneficial for different mental and physical illnesses. This treatment has also proved quite effective in inflammation and cases of muscular injuries. As the use of cooling marble and hot basalts stones develop a kind of vascular of thermo therapeutic impact on the body that not only improves blood circulation in the body, but also help the body for detoxification and healing. As I have mentioned earlier, the impact of such kind of healing can be felt in almost each and every nerve and cell of the body and the procedure helps different cells to get more nutrients and oxygen from the blood as well as push out unwanted waste materials instantly. Usually, in this kind of treatment stones are heated on approx. 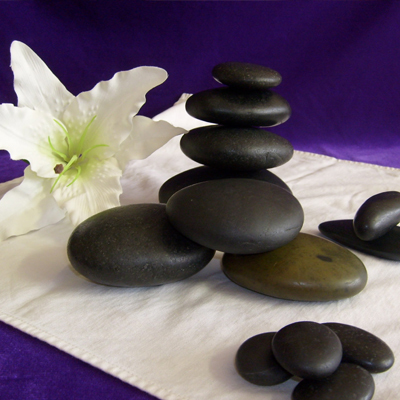 120F, and then these stones are used to massage and soothe the body. The success of this kind of treatment also depend on massage therapists, as only they can use the right use of these stones at right places to release stress and tension.